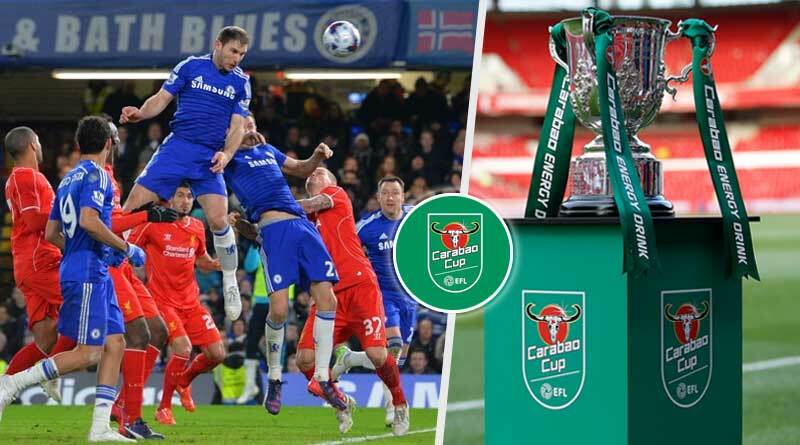 The Carabao Cup third round ended on Wednesday with some big team exiting the tournament. The first round which saw premier league sides take part in England’s domestic tournament saw Liverpool, Burnley and Wolverhampton end up as the biggest casualties from the premier league. Tuesday saw all the big boys progress with regular wins. Manchester City swept past Oxford 3-0 with goals coming from Jesus, Foden and Mahrez. Premier league opponents, Leicester and Wolverhampton played each other in a 0-0 match with Leicester eventually progressing through with a 3-2 win in the penalty shoot-out. A change in format in the Carabao Cup sees teams directly contest a penalty shoot-out if the scores are level at 90 minutes, rather than playing a 30 minute extra time period before as was the norm earlier. Tuesday’s biggest result was pathetic Manchester United exiting the tournament after being slapped in the back by championship Derby County. Frank Lampard’s side schooled Manchester United the entire match, dominating the match in all quarters. With the match ending at 2-2, Derby went onto win 8-7 in the penalties rightfully so with the team playing the much better brand of football ending up as deserved winners. The showpiece event of the third round though was Chelsea traveling to Liverpool. The two premier league giants contested an action-packed match as both sided went all out in their approach to advance to the next round. Living up to the hype it had created, the match was an attacking treat for viewers. Chelsea dominated the first half but failed to convert their chances with flop striker Alvaro Morata spurning two opportunities that fell his way. Coming out with resilience in the second half, Liverpool turned the screws on Chelsea, pressing and moving the ball with great intent. Setback by Liverpool’s aggressive outlook, Chelsea were put on the back foot and went onto concede to Sturridge. With Liverpool running the show after their opener, a win was all on the cards for them before Eden Hazard struck them. Coming on as a substitute to replace Willian, the premier league’s best player silenced Anfield as he ripped apart Liverpool’s defense. Setting up Chelsea’s equalizer, Hazard’s quick feet destroyed Liverpool for Chelsea’s winner. A goal of the season contender saw Hazard nutmeg Firmino, before easing past Keita and Moreno to embarrass them to find the back of the net with a thundering strike. A 34-minute magical show by him saw him bag not only the man of the match award but a vital win for his side before two sides meet again on Saturday in the premier league. The win ended Liverpool’s undefeated run and saw Chelsea become the only side in all divisions of England to remain undefeated across all competitions this season. Wednesday saw no surprises with Arsenal winning 3-1 against Brentford and Tottenham winning 4-2 on penalties against Watford. The draw for the fourth round of the Carabao Cup takes place on Saturday. For more details on The Carabao Cup Third Round and related updates, like and subscribe to tentaran.com.